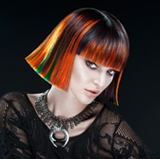 The Goldwell color line is designed to ensure you get the color results you are looking for. It delivers rich color depth and radiant shine, leaving your hair in even better condition than it was before it was colored. Top stylists worldwide trust Goldwell’s groundbreaking German technology to achieve breathtaking results. 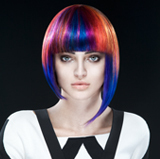 At Rita Ambourn’s, we use industry-leading Goldwell color because it is simply the best. High-performance non-alkaline color. Comes in natural and funky and fun new colors. Illumina Color’s Microlight technology protects the cuticles so they maintain their clarity. This allows light to pass through, illuminating natural highs and lows from within — in any kind of light. 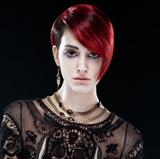 RITA HAS THE RIGHT STYLISTS TO CREATE THE BEST YOU.